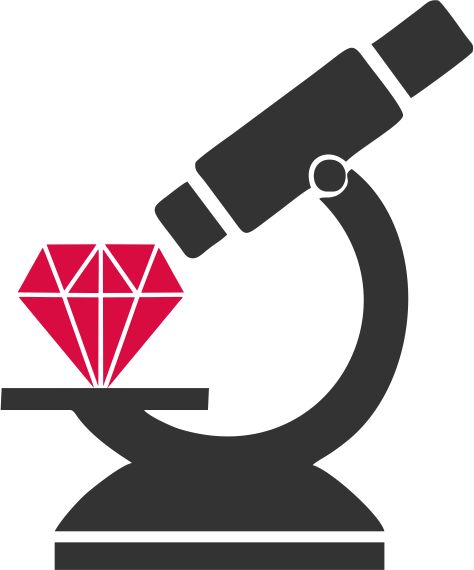 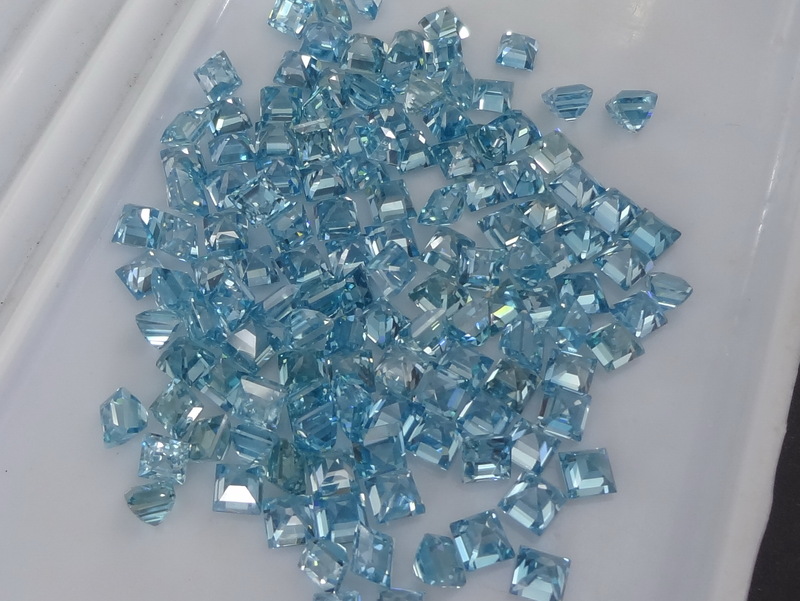 These are calibrated blue Zircon gems from Ratanakiri, calibrated at 4mm. 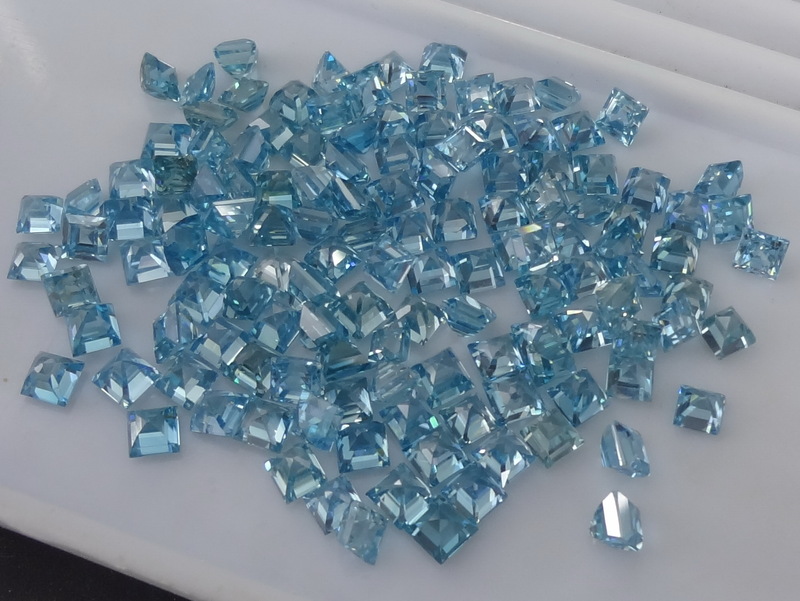 These zircon gems are cut Square with 3 step pavilion. 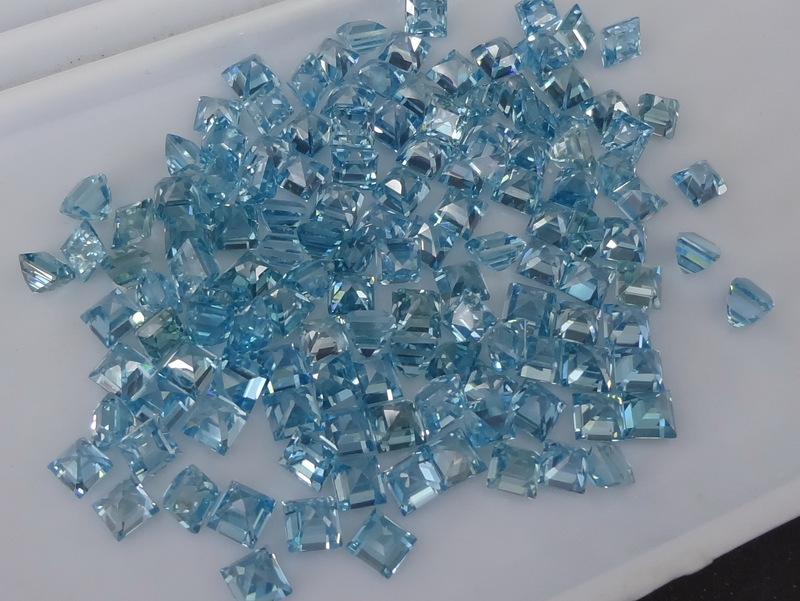 Colour is sky blue and not deep blue, please contact us before placing an order for these gemstones.